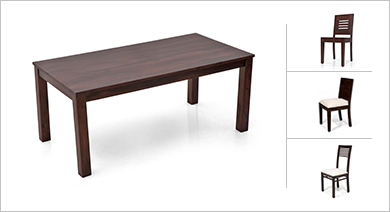 Upgrade the look and feel of your dining room with an extremely stylish 8 seater dining table. 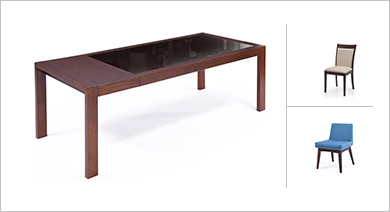 The range of designs and hues of these dining table sets present online are breathtaking! To merge your 8 seater dining table with your home decor in seamless way, match the colour of your living room's curtains with those of your dining chair's cushions. Shop online at Urbanladder.com to find the best selection of 8 seater dining table sets for your home. When you invite guests over to your home, you want them to feel comfortable and welcomed. This is why it is a good idea to invest in an 8 seater dining table set, because whenever you feel like entertaining those near and dear to you, you will have a grand dinner table to easily accommodate everyone and ensure that your party remains a big success. This is also a wise investment for large or joint families. 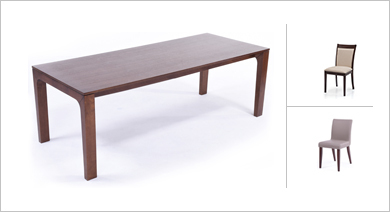 Shop online at Urbanladder.com and find the right 8 seater dining table set based on your needs. Despite the furniture you eventually select, there is something special and grand about seeing a well-crafted dining table in the centre of your dining room. The Enrico range of 8 seater dining tables best summarizes our range in this segment. The Dalla chairs within the Enrico range are traditionally styled and make for a pleasant and appealing 8 seater dining table set. They are made using high quality rubber wood along with upholstered cushions for your back and seat on the chairs. The Dalla range uses subtle and sophisticated colours to highlight the colour of the rubber wood, making the set even more appealing. The Thomas chairs in the Enrico range are more contemporary in design and use an unorthodox shape in their construction to draw your attention. This range is also made from high quality rubber wood but its overall design and styling making it a perfect choice for people who have taken the contemporary route in styling their home. 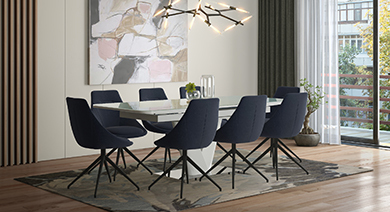 The Grant chairs in the Enrico range is the most modern of the entire range, using a minimal yet classy design and styling to execute the details of this set. The use of heavy colours to complement the table made from high quality rubber wood makes the set stand out in the background of soft colours that can be seen in a modern home. 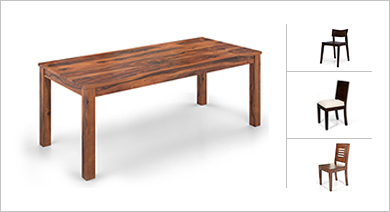 Shop online at Urbanladder.com and find the right dining table set for your home.